She held out for better terms in the negotiations. They refused to take the first offer. They are holding out for a better price. Note that “hold out” is a phrasal verb, and the stress falls on the word “out.” Phrasal verbs are included on the TOEFL® test as they are so frequent in English. Look for the the “TOEFL® phrasal verbs” graphic that highlights the phrasal verbs in the Idioms in English programs. The company was required to hand over their documents to the investigators. The police surrounded the robber and told him to put down his gun and hand over the stolen property. Note that “hand over” is a phrasal verb. Phrasal verbs are included on the TOEFL® test as they are so frequent in English. 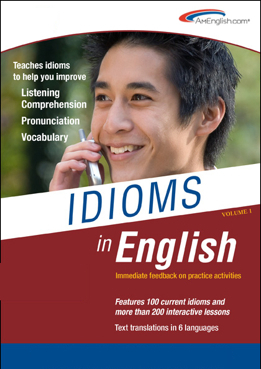 Look for the the “TOEFL® phrasal verbs” graphic that highlights the phrasal verbs in the Idioms in English programs. When she became CEO that company was losing money, but she turned things around, and now it’s highly profitable. That team was losing all their games, but the new coach turned things around, and now they are headed for the championship. Note that “turn something around” is a phrasal verb. 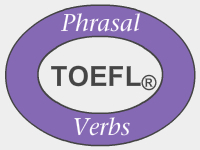 Phrasal verbs are included on the TOEFL® test as they are so frequent in English. 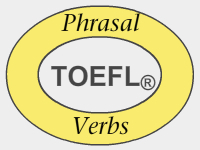 Look for the the “TOEFL® phrasal verbs” graphic that highlights the phrasal verbs in the Idioms in English programs.